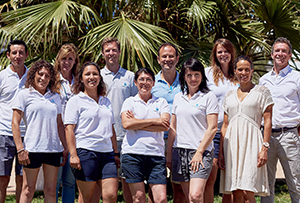 A holiday on the White Isle can involve a lot more than just soaking up the sun and dancing in clubs. 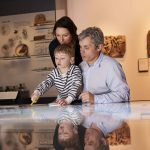 From buzzing markets to vibrant art galleries, fascinating museum and remote caves, there’s a lot to see and do. Today we’ve handpicked our selection of fascinating historical sites around the island. The island counts 7 towers, that are placed in strategic locations along the coastline. Most of them are kept in very good shape, and you can get as much closer as you want by following hiking paths. These watchtowers were built in the 16th century to serve 3 basic purposes: defence, communication and refuge. 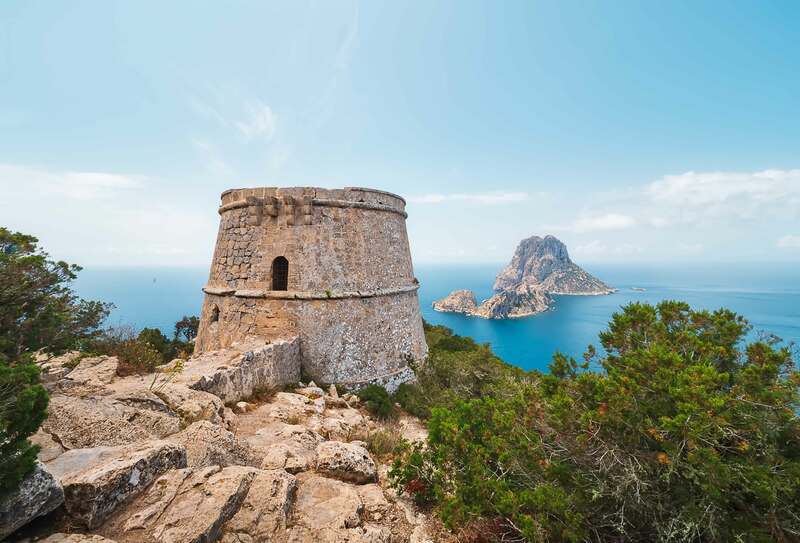 The most famous ones are Torre Ds es Carregador (known also as Sal Rossa) at the end of Playa D’en Bossa and Torre Des es Savinar opposite Es Vedra. Due to the strategic location of the pirate towers (high up and near beaches), giving them a visit also tends to offer spectacular views over the island and its surrounding waters. Puig des Molins literally means the hill of windmills. It’s located just outside the Ibiza old town. Dating back to the 7th century BC Phoenician settlement site, the area also contains a large, ancient, and well-preserved necropolis, with an estimated 3000 tombs (although only a handful of these are open to the public). Now a UNESCO World Heritage Site, there is also an archeological museum on site, detailing the necropolis’s history century by century. Entry to the museum is very cheap and it makes for a fascinating visit. 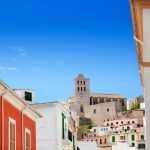 The Cathedral of the Lady of Our Snows (Catedral de la Verge de les Neus,) sits on top of the hill of Dalt Vila (Ibiza old town) and has incredible views out to sea. The cathedral was established in 1234 by the Christian conquerors. Over the year, the building has been restructured with its most extensive work completed in 1782, when the church embodied the functions of a cathedral. If you’re fairly fit, the steep climb up the hill (best not to do it in the midday heat) is worth it for a chance to look round the Catalan Gothic style building and then stop and enjoy the views. 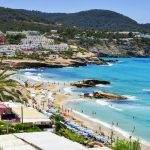 The Phoenician site at Sa Caleta is located on the south coast, on a small peninsula between the Cala Codolar beach and the Cala Jondal hills. The origins of the settlement go back to the latter part of the 8th century BC and it’s a key point to understand the rich history of the island, which is why this archaeological site has been declared World Heritage site by Unesco in 1999.